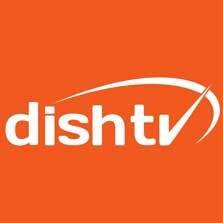 Dish TV India Limited (BSE: 532839, NSE: DISHTV, LSE: DTVL) today reported third quarter fiscal 2019 consolidated subscription revenues of Rs. 14,126 million and operating revenues of Rs. 15,174 million. EBITDA for the quarter stood at Rs. 5,176 million, up 4.0% YoY. EBITDA margins were almost at an historical high, at 34.1%, up 330 bps YoY. Mr. Jawahar Goel, CMD, Dish TV India Limited, said, "I am glad that all opposition to the Tariff Order has now finally been put to rest. We continue to strongly believe that the Regulation should minimize discriminatory pricing by ensuring a level playing field between cable and DTH platforms and should be beneficial for the entire industry thus leading to higher earnings going forward." Mr. Anil Dua, Group CEO, Dish TV India Limited, said, "The Interconnection Regulations and Tariff Order, as notified by TRAI, will lay down new norms for the television industry ushering in an era of growth, transparency and non-discrimination. Sustainability review of long term packs had some impact on activations in select markets. That said, barring the fluctuations in December, the business delivered in line with expectations in the festival months of October and November." "The Interim Budget 2019 gave an approximate Rs. 230 billion spending stimulus to the consumption class comprising of small business owners, salaried employees and the middle class by way of tax exemptions. In addition, increased disposable income in the hands of farmers by way of PM Kissan Samman Nidhi scheme introduced in the budget should be a great boon for consumer sector companies like Dish TV. Further, the 150 thousand homes built under the PM Affordable Housing Scheme and every new house proposed to be built thereunder should be a potential pay-tv customer in the near future,” said, Mr. Jawahar Goel. 'Project Phoenix' was launched immediately after merger and it was in December finally that the teams could make a break-through by seamlessly integrating the UI of both brands but by letting the CRMs of both brands work in their individual capacity. This was essential as building an altogether new CRM was an expensive and time consuming task.The integrated yet differentiated UI is expected to help achieve greater effeciencies in the areas of field service and customer satisfaction going forward. Further, Dish TV India's focus on continuous statistical based improvement and quick response to opportunities and changes in business made it target the CMMI, Maturity Level 5, certification. Capability Maturity Model Integration (CMMI), Level 5, was awarded to Dish TV India during the quarter making it the only Media and Entertainment Organisation in the world to be certified with Maturity Level 5. Mr. Anil Dua, Group CEO, Dish TV Inida Limited, said, "We are optimistic about exiting FY19 with a high single digit growth in EBITDA considering back-to-back cricketing action during the fourth quarter and further realization of synergies." The Dish SMRT Stick was launched during the quarter at an introductory price of Rs 599 only. The device enables low–cost and modular access to internet based services on Dish HD boxes. With the SMRT Stick, Dish TV's existing 3.5 million NXT HD boxes can become connected boxes overnight. The product offers 10 curated channels including Entertainment Zone - comprising of Mini Web Series, Comedy and Travel. Smart Kids - comprising of Cartoon Short Videos, Rhymes, Art and Craft and Music Box - having Hindi, Regional and English Music Videos. "Dish TV's unique advantage of being able to offer content through both, the traditional and streaming mediums would ensure subscriber brand loyalty. Our OTT offering would come with a fair mix of original content, linear channels and catch-up content. The flexibility to move between pipes would enable consumers to keep TV viewing costs under check," said Mr. Dua. Dish TV's Connected Box would empower the new age consumer to watch both, streaming content as well as linear television using DTH technology at cost effective prices thus offering them excellent value for money.